A compare and contrast essay describes the similarities and differences between things. A compare and contrast essay describes the similarities and differences between things. Those “things” could be just about anything, for example, two books, two alternative biochemical processes, energy consumption in the US and China, or Bluegrass and Cajun music! It is best though to think about the complexity of your compare and contrast essay topic in advance. Comparing more than two things is possible, but in most cases it is probably complicated to do this well, and could take up more pages than you want to write. Similarly choosing two very general subjects might cause problems: comparing and contrasting Marxism and capitalism, for example, is probably more suited to a book than an essay! Writing a compare and contrast essay involves first researching the subjects being compared and contrasted (i.e. research the compare and contrast essay topic). You need to be confident that you thoroughly understand your compare and contrast essay topic, and that you have accurate and comprehensive information before starting to write. You may want to review the general essay writing section on essay research before beginning your essay. Think about whether your compare and contrast essay topic will do something other than simply compare and contrast your chosen subjects. Often your essay will also be a persuasive essay, in that you’ll come to a conclusion about the superiority of one of the subjects. You might, for example, compare two theories that provide possible explanations for some natural phenomenon or historical event, e.g. why giraffes have long necks or what happened to Tutankhamun. The similarities between the theories probably include essential features necessary to explain well established facts. The differences, on the other hand, are crucial to deciding whether one theory better suits the evidence than another. You might want to persuade the reader in favour of a particular theory, and/or you might want to suggest what additional observations or experimental evidence could lead to a discrimination between the two theories. Another possibility is that you will compare and contrast two methods of doing something and try to persuade the reader that one method is better than another. If you are interested, for instance, in starting and breaking horses you might want to persuade your readers of the benefits of some new method, such as the Monty Roberts’ method, over some other traditional method. In such a case you will want to persuade your readers of your own conclusion. 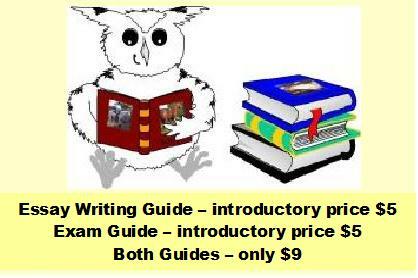 Review the section entitled persuasive essay topic before starting your essay. In your essay introduction first say what will be compared and contrasted. Then use your introduction to interest your readers in your subject. Say what is interesting and important about your subjects, and what can be learned from comparing and contrasting them. For example, if you are going to compare two scientific theories excite your reader about the interesting phenomenon the theories attempt to account for. Is there some human angle you can bring up, some reason why your subject is important or interesting? Are there important advances that could be made if the phenomenon could be explained? Perhaps some new technology or medical advances, perhaps some fundamental insights into the workings of the world? If you are comparing two techniques can you help your readers in some way, perhaps showing them a better, faster or cheaper way to do some something? If you are dealing with some historical event, such as the death of Tutankhamun, start by reminding the readers of something familiar, in this case the magnificent archaeological treasures that made the boy pharaoh a household name. Then engage the readers fascination for mystery – did this happen, or did that? You will present two fascinating alternative explanations that you’ll attempt to unravel during the course of the essay. In the main part of your compare and contrast essay expand on your essay topic and provide the details that move it forward. Organize your the information for your compare and contrast essay topic either by dealing with all the similarities and the differences separately, one after the other, or by alternating similarities and differences, organising information on some other basis. In most cases the alternating pattern is probably more natural, unless your essay is rather short. When there are several points to make it is often easier for the reader deal with each point seperately, comparing and contrasting the subjects in relation to one particular point before moving on to the next. In either case don’t just list the similarities and differences. Discuss the reasons for similarities and differences, and the significance of them. Why are they important? What do they signify? What is interesting about them? Give details and examples. What conclusions can you draw about your compare and contrast essay topic? Your concluding paragraph should re-cap on your conclusions. In the case of a persuasive essay topic it should also re-affirm your view-point and the essence of the main reasons for it. Don’t be too general or vague or you won’t be convincing. Don’t reargue your case or give new examples. If you still feel you need to do this then the main body of your essay needs revising. Once you have a first draft of your essay be sure to revise and edit it – several times if necessary. Leave plenty of time to proofread. If you can, put your essay away for a few days, and come back to it after a break. You will be more likely to spot errors and to see where you can make improvements. Make sure your writing is clear and precise. It should be vivid without being too flowery: use simpler words in place of longer or obscure words, don’t use ten words when one will do! Make sure that each word means what you think it means. Whenever possible use active rather than passive verbs. It is essential that everything in your essay should be to the point: delete any parts that don't contribute to your theme. Check your grammar and spelling carefully and make sure you’ve avoided using slang or colloquial language. When you’re happy with your essay try and get feedback from others. Can they identify your overall theme (i.e. your compare and contrast essay topic)? Can they say what are the main and most important similarities and differences, and why they are such? Can they understand your reasoning without having to ask for further details or other clarification? Do they find your arguments convincing? Are they persuaded to your viewpoint? If the answer to any of the first three questions is no then you’ll need to improve the clarity of your explanations. If your essay isn’t persuasive then you need to think about how you are presenting your case. Have you chosen the most appropriate examples and evidence, and have you presented it clearly? Have you left any holes in your arguments? Have you shown why the other arguments should be rejected? Revise your essay in the light of your readers responses, and then ask someone to comment on the revised version.